Kirsten is one of my favorite contemporary actresses. She has been in the business a long time and easily one of the best actresses working today. Consistently excellent, the one thing the Dunster her trouble with is connecting with commercially successful roles. Don’t get me wrong, she has had her fair share of hits – though not in the same stratosphere as Jennifer Lawrence or Amy Adams, for instance. 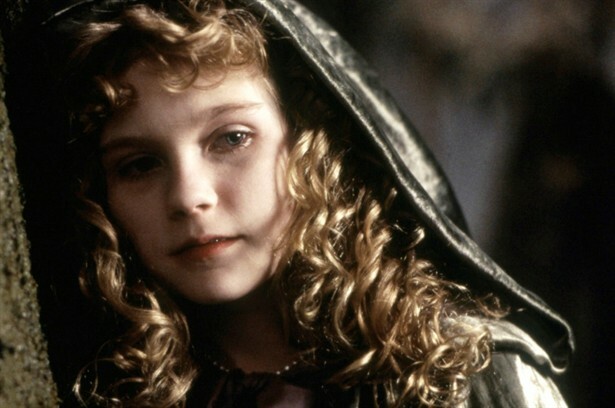 What sets Kirsten apart from both Lawrence and Adams is that she broke out when she was still a child, in her amazing performance as an immortal, child-vampire in “Interview with a Vampire”. Her ability to convey a woman in a child’s body was eerily on the mark, decades before “Let the Right One In”. Even her kiss with Brad Pitt was convincing, which she said at the time was totally gross. Dunst would make many more memorable, star-turning roles in “The Virgin Suicides”, “Bring it On” and “Little Women” but none truly catapulted her back into the spotlight until “Spider Man” opposite Tobey Maguire. Dunst as love interest Mary Jane to Spidey was truly inspired casting and secured Dunst as a bankable star in her own right. With Big Box office comes opportunity in Hollywood and Dunst used her new clout to make several smaller, important films. Most recently she portrayed a depressed bride at the end of the world in Lars Von Triers’ “Melancholia” a role that she fully-committed to and was met with critical raves for the young actress. She was even able to survive Von Trier’s near career-suicide at the Cannes Film Festival when the film debuted. Having grown up in the business, the savvy Dunst is able to navigate the media as easily as she can a choice role. One of the more curious movies Kirsten has been in recently is 2012’s “Upside Down” a lavish, visually intoxicating love story set between two worlds who share the same atmosphere – yet different gravity, literally. Dunst was luminous in the film, as she always is, but there was something missing. It was a perfect example of a director and co-star not being able to keep up with a leading lady whose very on-screen presence is more stunning than any special effect. And while the film was lackluster, Kirsten makes the film worth watching just to bliss out on her face for 2+ hours. I can’t wait to see the German born American actress in her next star turn, whatever that may be. And my wish for her in 2014 is to connect with the right role that will make audiences realize just how amazing she is. No offense to Jennifer Lawrence and Amy Adams but Kirsten was here first. And she’s going to be around a long, long time after many of her contemporaries have come and gone. Kirsten in a more serious mood. A more playful mood by the pool (very patriotic, too). And one of my favorite glamor shots of the classic, timeless beauty!